When it rains it pours. OC Political has broken the story of Troy Edgar being rejected from the ballot today and broken the story of Anna Bryson having part of her ballot statement being declared false and misleading by a judge. These two posts are now part of a trifecta with the latest ballot designation case results being announced. We now can report that Orange County Auditor-Controller candidate John Willard, who challenged the ballot designation of opponent Eric Woolery has had his claim denied by a judge. Willard opposed Woolery using Orange Treasurer/CPA as his designation and was rejected on the grounds that Woolery is in fact the Orange Treasurer and does in fact have a CPA license. On an interesting side note the Willard case was heard by the same judge that heard the Edgar case. Woolery is the likely front-runner in this election and with his ballot designation being approved by a judge continues his momentum towards June. Hearing held. The Court hears oral argument and denies John Wayne Willard’s petition for writ of mandate. The Court informs counsel that the Court will issue a minute order that more fully sets forth the reasoning behind the Court’s ruling. Later same date, the Court issues the following. Petitioner John Willard’s Petition for a Peremptory Writ of Mandate ordering Respondent Registrar of Voters not to print ballots with Real Party in Interest Eric Woolery’s designation as “Orange Treasurer/CPA” is denied. Petitioner contends that the “Orange Treasurer” portion of the foregoing designation is misleading and contrary to law (Election Code § 13107 and 2 Cal. Code Regs. (CCR) § 20710 et seq.) on the theory that Woolery’s “principal” occupation is Deputy Director of Administration for the Riverside County District Attorney’s Office. 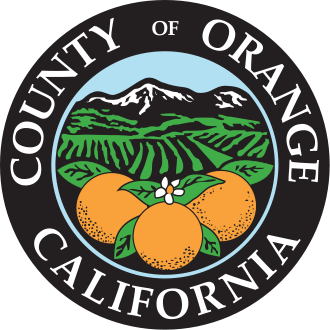 The evidence is undisputed that Woolery was appointed to the position of Treasurer of the City of Orange in 2013 and that he is still serving in that position. (Woolery Decl. ¶ 2) It also is undisputed that Woolery spends approximately 10-15 hours per week fulfilling the duties of that office. (Id.) Because this amount of weekly work is more than “nominal” as that term is used in 2 CCR § 20714(b), it is an “activity [which] is one of the primary, main or leading professional, vocational or occupational endeavors of the candidate.” 2 CCR § 20714(b) Thus, Woolery’s position of Orange Treasurer qualifies as a principal occupation under Election Code § 13107(a)(1). The fact that Woolery may have another job that also is a primary occupation and requires him to work longer hours per week and/or is his main source of income does not preclude the Orange Treasurer designation under the applicable statute and regulations. Andal v. Miller (1994) 28 Cal. App. 4th 358, 366; 2 CCR § 20714(e)(1) (“A candidate may engage in multiple principal professions, vocations or occupations.”). Accordingly, because Petitioner has not established by clear and convincing proof that the designation of “Orange Treasurer/CPA” is misleading, the request for a writ is denied. Court orders clerk to give notice. Willard is not in good position to finish in the top two on June 3rd and this definitely does not help his case. It will be interesting to see what the impact of this is on his campaign, he is one of three candidates to purchase the ballot statement. However, he does have the ballot designation of Assistant Director HR, which is probably one of the bottom two designations out of the field of five candidates. This has been quite a news day in Orange County politics and I am definitely looking forward to catching my breath a bit this weekend. Full Disclosure: Custom Campaigns is doing the consulting on the Woolery for Auditor-Controller race.